Mangos are irresistible. Whether you serve them blended, fresh, sliced, canned, or dehydrated, they will find their way to satisfy you. 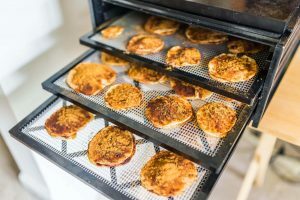 On this post, we will focus on how to dehydrate mangos and why you would want to try them dried. 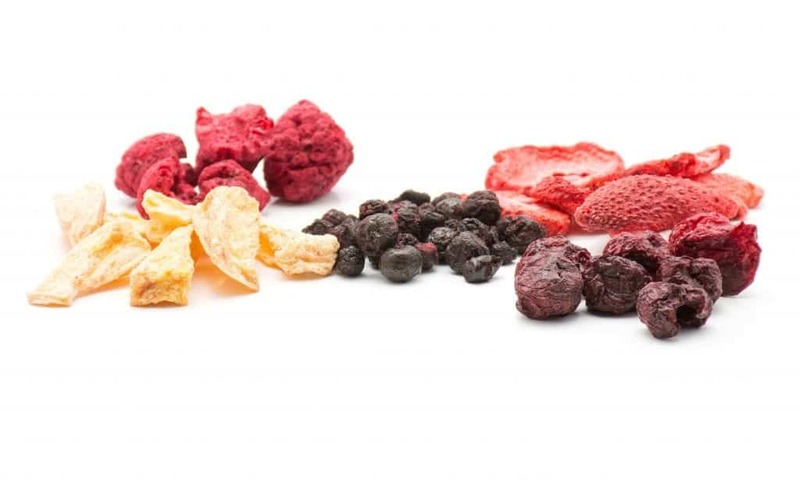 We dehydrate fruits to preserve their nutrients and flavors. They can serve as a healthy snack or add-ons to your cereal or bread. 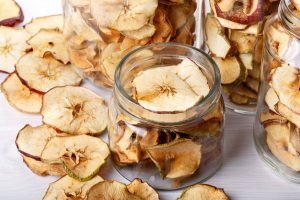 Fruit dehydration is a smart way of preservation and an option for long-term storage without consuming too much space on your fridge or your pantry. 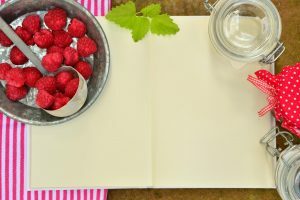 Some fruits are available only at certain seasons so it is also one reason why you would want to preserve your favorite fruits until supplies are there, so you will have them preserved and put to use when it is already necessary. Also, preservation is also a way of saving some fruits from being thrown away because they are damaged or are ripening fast. They say mangos can be preserved in a lot of ways, but why choose dehydration? First, you will not be required to cook, and it means nutrients will remain in the fruit. Dried mangos can serve as snacks, or can be used in cooking, desserts, and an add-on to your favorite cereal or bread. It will not use up too much space in your pantry, and you are not required to refrigerate them. One more factor is the fact that you can actually save mangos which are not in their best condition anymore through the process of dehydration. Mangos with insect bites, those bruised, or those ripening fast can be saved by removing the bad part and preserving the good. Make sure that the mangos are washed properly before you proceed with the preservation process. This will allow you to remove the wax and wash away pesticides if you plan to dehydrate with the skin on. First, you have to remove the skin using a peeler and then cut the mangos into slices. You decide on the size but make sure they are not too thick. You can use citric acid or lemon juice mixed with water and then dip the slices after cutting them. The acid will prevent the mangos from oxidizing or go brown so it can retain its brownish to yellowish color until they are dried. 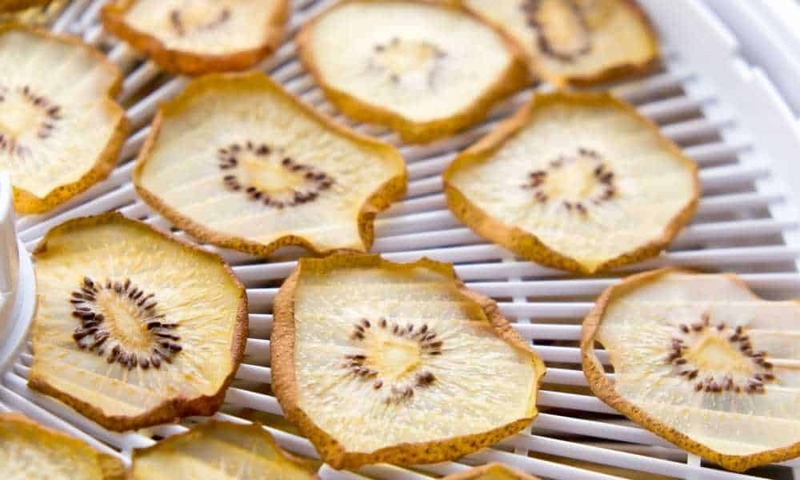 Use trays and then evenly place your sliced mangos on them before you put into the dehydrator unit. It usually takes 18 to 20 hours for mango pieces to get successful fried inside and out but you have to be careful not to overdry them as it is better when it is a little softer. 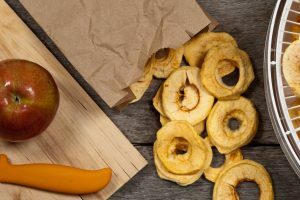 You can choose to dust your dried mango pieces with icing sugar by putting them in a sandwich bag so you can shake and mix the sugar with the mango pieces. The sugar prevents the dried items to get moisture, thus removing chances of developing the growth of bacteria. You have to store them in sealed containers or zip-lock plastic bags, and they can surely last up to six months. 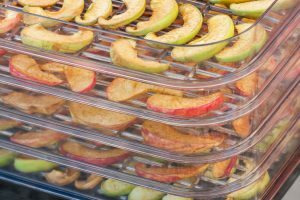 There are so many choices on the market today when it comes to dehydrators that you can use for fruits. You can either go electricity-free and use the sun as your source of heat. 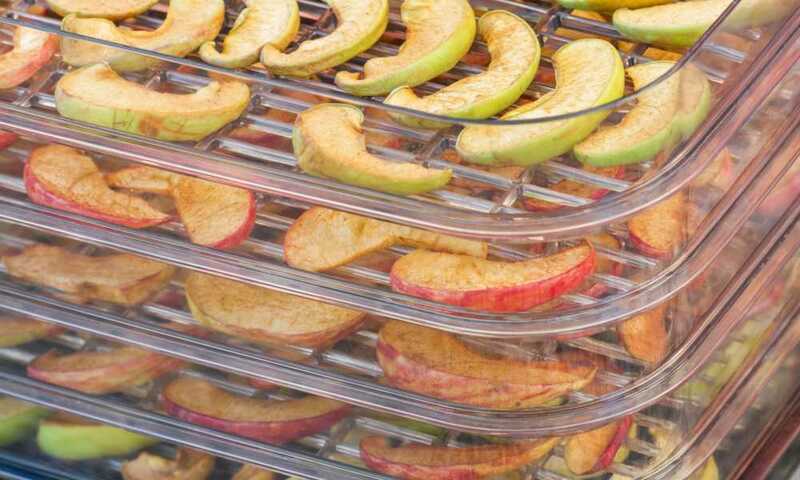 You just have to use trays where you can place your sliced fruits so you can have them heated under the sun. This method could take longer, and it will greatly depend on the weather. You will also need to check your items every now and then to see if you have to make adjustments. 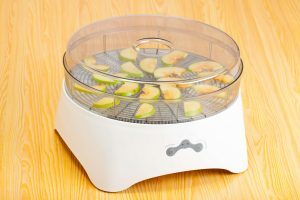 Electric dehydrators, however, are easy and efficient to use. Most of their functions are automatic, so you do not have much to do. 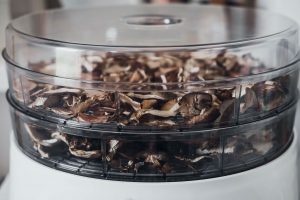 They also have different shapes and sizes, which give you options to dry a wide variety of foods in one cycle, and they can accommodate large food items too. 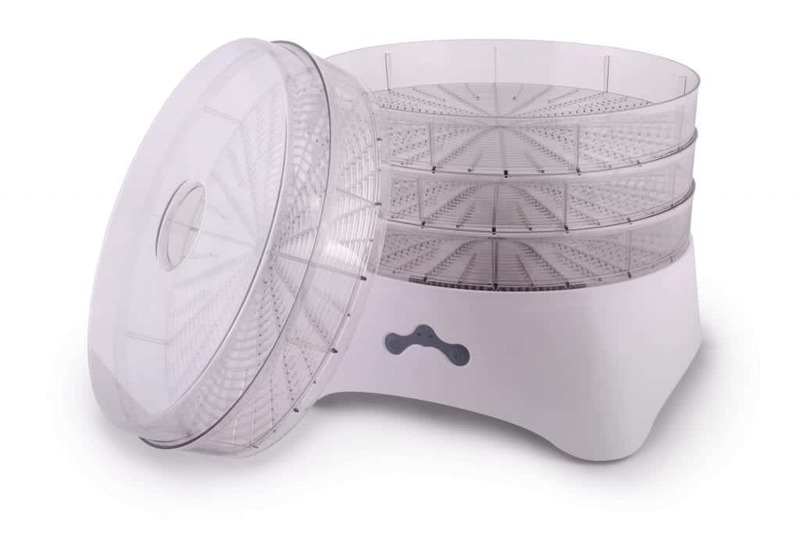 Most electric dehydrators come with multi-leveled trays which allow you to utilize more space and produce more in one drying cycle. These trays are usually adjustable and removable so you can organize them in any way applicable to your drying needs. There are stainless steel trays and plastic trays, which are designed with non-stick technology so that your foods stay intact but not burned. There are also units which are equipped with advanced features such as timers, adjustable thermostats, and automatic shut off systems so you can do other stuff while the drying process continues. Dehydration could take hours, and there are timers which have capabilities ranging from 16 to 40 hours, which are definitely helpful when you take care of a lot of things. After a thorough research and discussion, we can say that we now know how to dehydrate mangos. Aside from that, we also understand what good can it do and why we want to give it a try. 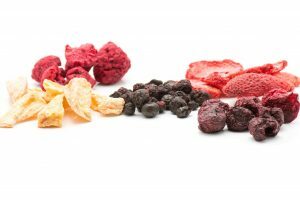 Again, the dehydration process is a way of preserving the nutrients and flavors of fruits. Aside from that, it is also a way of saving them from being thrown away due to damages or because they are ripening fast. Since not all fruits are available on every season, it is also a smart idea to dry and preserve them so we can have them anytime we feel like eating them since they can be preserved for six months the most. So the next time you think about throwing that fruit away, think about what good can a dehydration do. You will not lose anything since the nutrients will actually stay anyway. 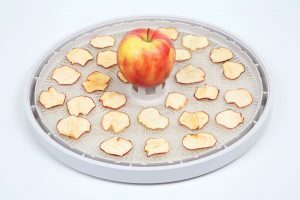 Also, the process of preservation has been made easy with the use of dehydrators. You do not need to put much effort since most of them have automatic functions, so you only have to prepare the food and let them do their job.